All Nobuo Uematsu had to do to earn a standing ovation was enter the Chicago Symphony Center Sunday evening. Dressed in white Japanese attire accented with a music-note bandana, the famed Final Fantasy composer waved to the crowd and took his seat in the audience. His seating heralded the beginning of Distant Worlds, a concert series of Final Fantasy music that has been ongoing since 2007. While Nobuo was in the audience for most of the show he did take the stage to play Dark World from Final Fantasy 6 with conductor Arnie Roth. At the end of the show, which featured a second half comprised nearly entirely of music from Final Fantasy 6, Nobuo agreed to a solo only to trick the audience by whistling the iconic Victory Theme. After the show Nobuo, Roth and singer Susan Calloway signed autographs and greeted fans who purchased special tickets to the concert. About 150 people clutched various memorabilia from the franchise for autographs and photos for the meet and greet. Prior to the 7 p.m. performance Nobuo sat down to discuss the concert series, some of his favorite experiences with Final Fantasy and an amusing pre-performance ritual. 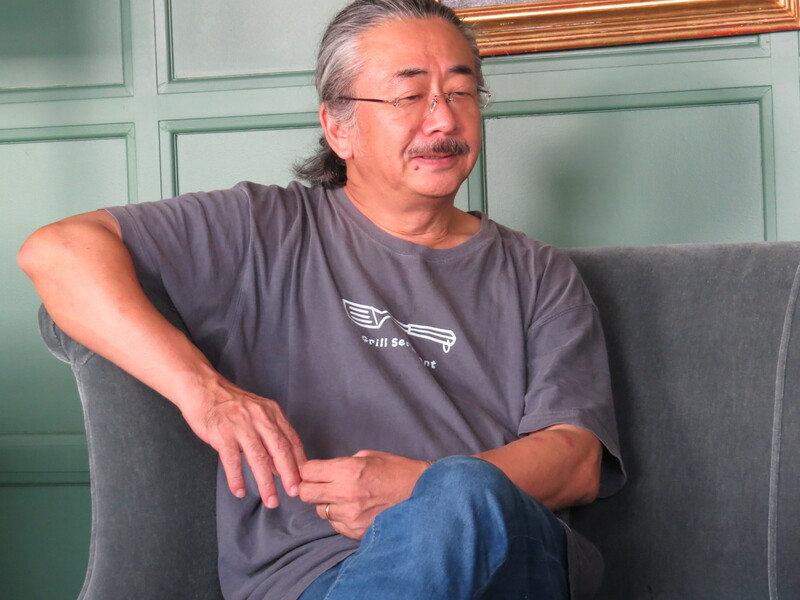 As the concert celebrated 20 years of Final Fantasy 6, Nobuo discussed what it was like to first hear about and work on the project. He said that at the time he was working on so many Final Fantasy games that he didn’t expect anything out of the ordinary at first. However, after the creation of the famous opera scene and the 17-minute long boss theme Dancing Mad he knew something was different. “At the end of development I knew that this would be special,” Nobuo said, speaking through translator and Director at Dog Ear Records Hiroki Ogawa. Nobuo added that those pieces made him realize how adaptive music could be in the world of video games. He said that he felt that the world of video game music opened up then and led him to try new things. After the release of Final Fantasy 6 the PlayStation era of Final Fantasy began. Nobuo said that the new technology gave him much more freedom because the technology was so remarkable at the time. “When I first received the PlayStation I felt a happy moment,” Nobuo said. Nobuo had also just returned from two performances of A New World: Intimate Music from Final Fantasy in Montreal. This new concert series is an effort to bring the music of Final Fantasy to smaller venues with about a dozen musicians performing. Nobuo said that both shows were sold out and that the reception was excellent to the smaller performance. However he added that the new series does have some improvements that could be made. One thing in particular that needed improvement he said was whether the series would cater to a more artistic and traditional crowd or more of a pop/entertainment crowd. “We’re still searching for that direction,” he said. Another improvement Nobuo suggested for both Distant Worlds and A New World is more rehearsal time with the orchestras. Since the music played at these concerts is far different than pieces musicians may have played dozens of times before Nobuo said he felt that they needed more time to present the context and meaning of the music better. “It’s really difficult for them to understand video game music deeply and what my music is,” he said. Coming back from Montreal also presented another humorous challenge for Nobuo. He said that one of his pre-performance rituals is to wear a pair of lucky red underwear but he had none available from his recent travels. “I have to buy some more for tonight’s show,” Nobuo said. When asked about what legacy would be left behind with all of his work Nobuo said that he hoped no other composers would be forced to change their style as they looked to his music. He emphasized the importance of composers finding a unique voice and that they should seek to break free of previous works they are known for. For example Nobuo said that he is often asked to create music similar to Final Fantasy and he finds that request sometimes stifling. He said that he wishes directors would be more accommodating for composers and allow them to find their voice while working with a project. He said that without the freedom he had during Final Fantasy 6’s development he never would have been able to be free enough to create all the memorable music that followed. This often can create scores that sound similar or don’t have enough individual quality to stand out from the crowd.